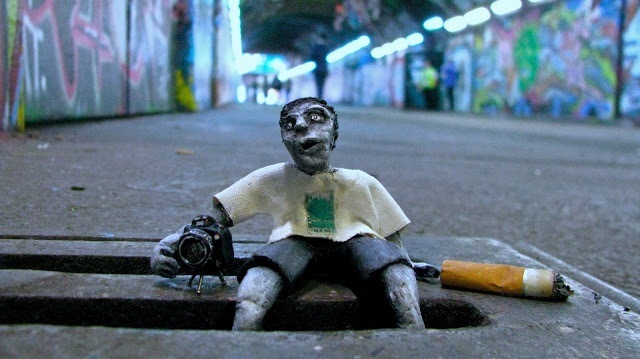 Artist Marcus Crocker presumably does a lot of crawling around on his hands and knees in alleyways. 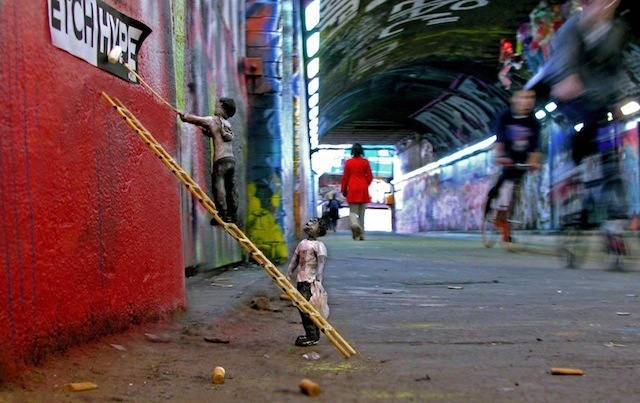 His form of street art requires the positioning of tiny figurines in the gutters and dark corners of the city. 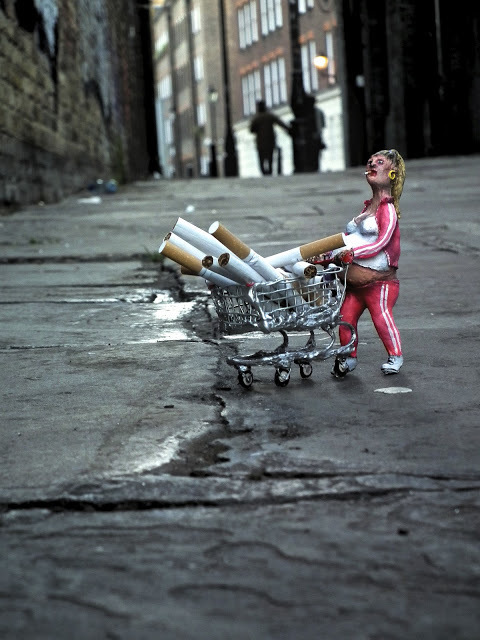 It's a style very much in the tradition of artists like Slinkachu, Isaac Cordal and Pablo Delgado, yet Marcus is stamping his own mark on this sub-sub-sub genre. Some of his pieces depict outsiders, who have fallen through the cracks of society. 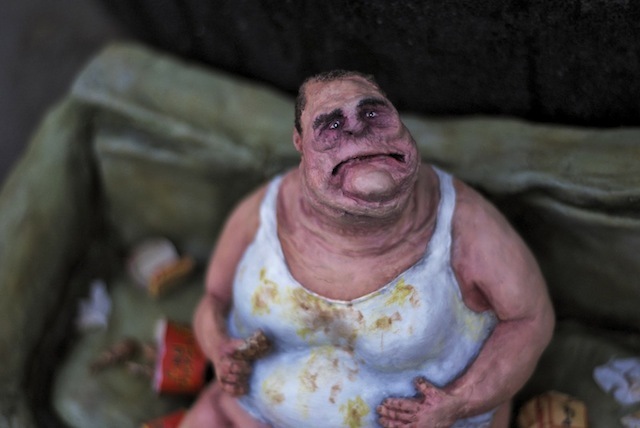 On his blog, Marcus has edited some of the photos to look like concept NHS ads, warning against the dangers of the behaviour these characters are exhibiting (e.g obesity, fast food, smoking while pregnant). None of the creations shown above remain in place, but the artist is working on sequels which should hit the streets soon. Keep your eyes trained on the gutter. 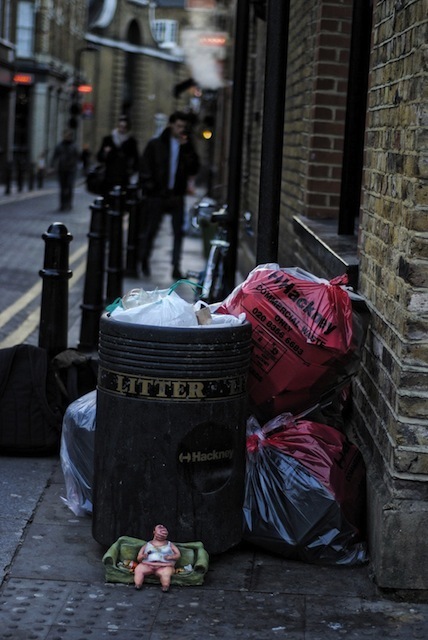 See more of Marcus' work on his blog.